Your Facebook business page, LinkedIn company page, and any other social profiles. Any directories you’re listed in, such as Google places, Yelp, yellow pages, and more. Your Intuit QuickBooks ProAdvisor profile, if you’re certified. Any other profiles of you on referring sites where you’ve posted articles or participated in an interview. The sites listed above may appear in any order, and you may not be able to control the order. The first thing you want to do is see if any address and phone numbers need changing, and if so, contact the website to get them corrected. The second thing you may need to look for is bad reviews. If any bad reviews come up, you’ll need to contact the site and at least post a rational reply that includes an apology. If irrelevant data comes up, you may or may not be able to do anything about it. If someone is using your business name illegally, you’ll need to contact an attorney. If a spammy site is linking to your site, you can disavov that link with Google. If data is coming up that you think could be hurting your brand, then discuss this with your webmaster who will have some options for you to consider. 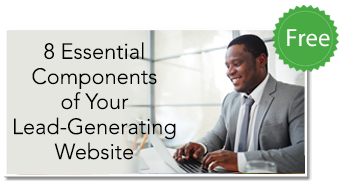 Be sure to go at least 5 pages back – this will get you 50 organic results, and will hopefully cover any variations that clients might enter that might come up earlier for them. I also recommend googling your business name and the words “reviews,” “complaints,” and “recommendations” so you can see what’s coming up for those searches. Now, Google your own name as the business owner, and see what comes up. Your business sites should come up as above, along with your personal social media profiles. As clients and prospects may very well make this same search, you’ll want to study the search results to see if there is anything you can do. You might be thinking, should you use Google Alerts for this? I used to do that, and you can still get alerts for your name and business name sent to your email. But a monthly or quarterly search is more comprehensive. If your search results are clean, congratulations! If not, you now know what you need to do to improve your results. It’s important to make as many corrections as possible as bad search results will impact lead generation, organic rankings, and your conversion rate.